Mentor Tutor Connection (MTC) is a community-based and supported non-profit organization that provides tutors at elementary and middle school grade levels and mentors to the three high schools in the Mountain View Los Altos High School District (CA). Mentor Tutor Connection is funded through grants from supporting organizations, and through the generous donations of caring individuals in our community. MTC employs four part time program staff who screen, train and place our volunteers with students. We place approximately 150 volunteers working directly with more than 450 kids in our schools each year. 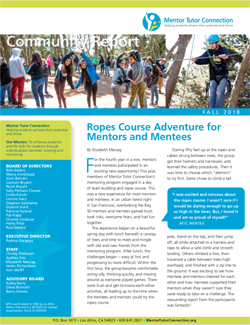 Mentor Tutor Connection originally was conceived and funded in 1996 by the Los Altos Rotary Club and over two decades has grown to be a respected and totally community supported 501(c)(3) nonprofit organization. Help Us Help Our Local Students! Make A Tax Free Gift? Note to never use a double kroger generic zyrtec dose of Dutas..